Robotics 10 requires permission from the instructor. Robotics 10 provides an introduction to the linked fields of Robotics, Mechatronics, Programming and Engineering by challenging students to use the design process to build and program a series of robots using LEGO Mindstorm kits. Students will be engaged in project-based learning where they are challenged to use problem-solving strategies, creativity, and critical thinking to build an increasingly complex robots that have real-life purposes. Develop an awareness of the history of robotics and related fields (mechatronics, electronics, programming, and engineering). 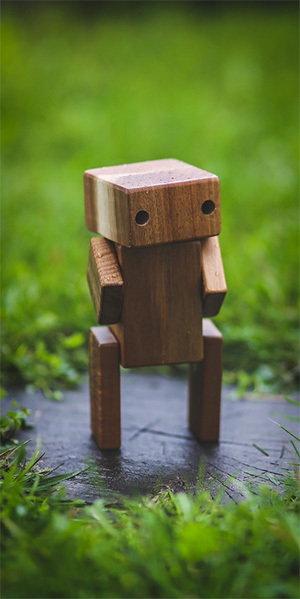 Build at least five different robots – starting with two simple robots. Program robots as they are built. Undertake a class challenge, using the design process, to build and program a robot to complete that challenge (45 degree hill climb). Create a short-term career plan based on a possible future in robotics (and/or the associated fields) and identify courses and work experience opportunities in grades 11 and 12 that will help students take steps towards entry in post-secondary programs. Develop an awareness of current trends in robotics (and associated fields) and project possible trends in the next decade or so. Build at least five robots with real-life industrial and societal needs in mind. Program the above robots as they are built. Undertake a class challenge, using the design process, to build and program a robot to complete that challenge (complete a designated course). Create a longer-term career plan based on a future in robotics (and/or associated fields). This plan must include information on applications for admission into post-secondary institutions and applications for scholarship/bursary/student loan funds related to these applications. Demonstrate an awareness of the history of robotics. Demonstrate an awareness of current trends in the multiple fields associated with robotics, mechatronics, and programming. Students will be asked, based on their background knowledge to project possible trends and outcomes in the fields of robotics, mechatronics, programming and associated engineering fields. Students will be required to demonstrate the skills required to complete a variety of other builds based on choices linked to real-life industrial and societal needs (possible examples include building a forklift and door alarm system). Demonstrate an ability, using the principles and practices contained in the design process, to design and build a robot to undertake several class-wide challenges (build a robot that can climb a 45% slope and build a robot that can complete, using several sensors, a complex physical challenge following a designated course/path). Demonstrate an ability to follow instructions to program a robot to complete basic movement challenges. Demonstrate an ability to program a robot to respond to different sensors (including sound, light, touch, and distance). Demonstrate an ability to use the design process to program a robot fulfill the expectations linked to the industrial or societal needs identified in the section above (a forklift robot can move, pick up a load, move deposit a load and a door alarm system can respond as appropriate to an identified task) .